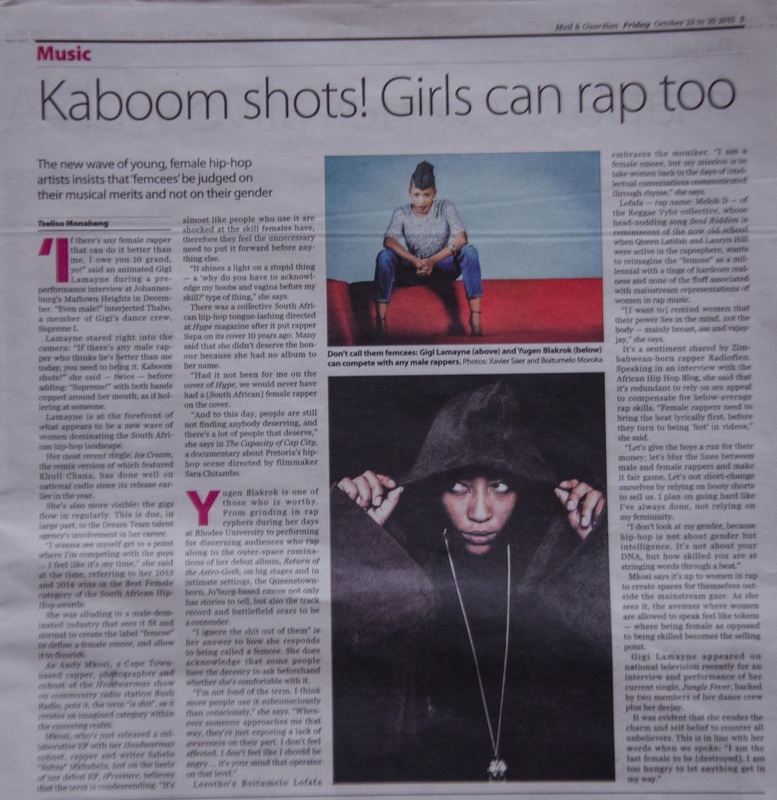 I wrote an article in the latest edition of M&G questioning the word ‘femcee’ and whether women who rap identify with it. Gigi Lamayne, Yugen Blakrok, Andiswa Mkosi and MC Meloh were some of the women who lent their voices. The original title was WTF Is A Femcee? Wish they’d kept that, would’ve been way-out wavy.